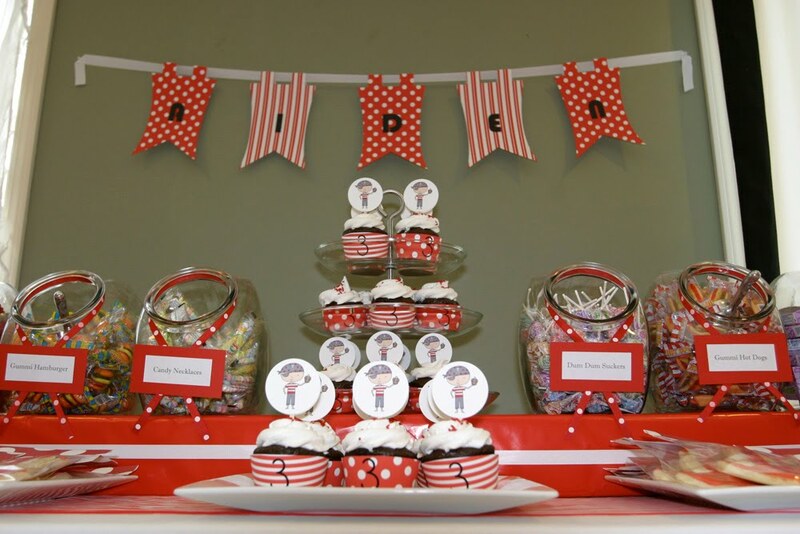 We were so thrilled to receive an email from one of our fave clients, Tracy Rains, letting us know that she planned to submit her son Aiden's birthday party photos to party blogs! 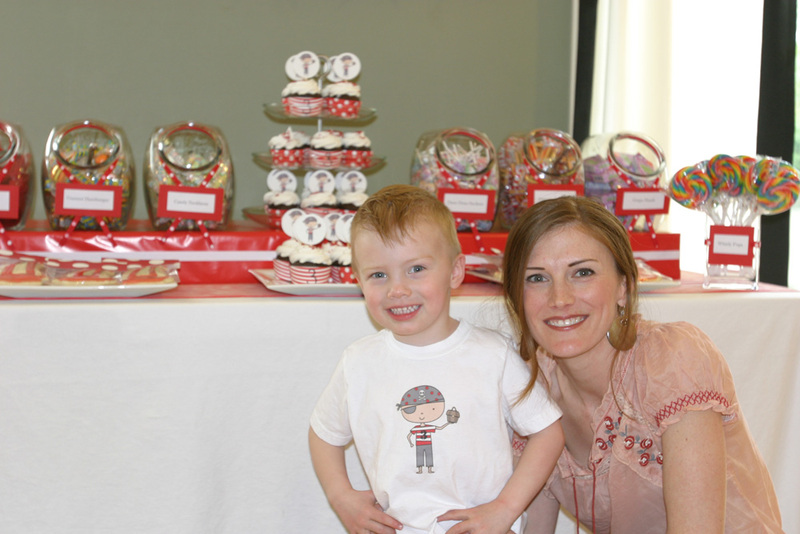 Since closing my children's clothing line, Pumpkin Noodle, at the end of 2009, I have been longing for a creative outlet. 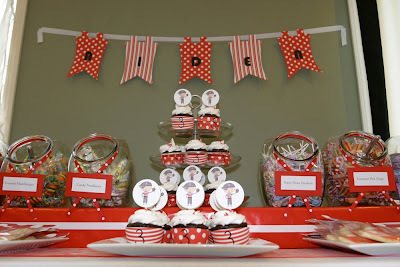 Along came my son's 3rd birthday! 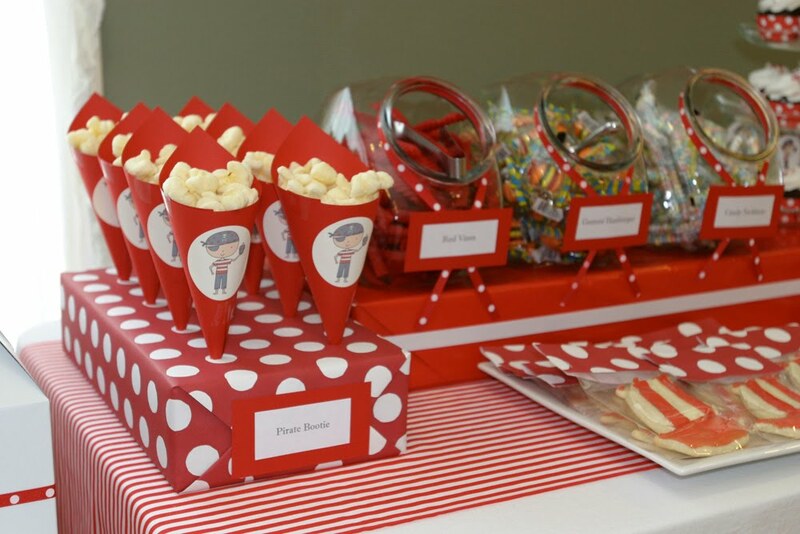 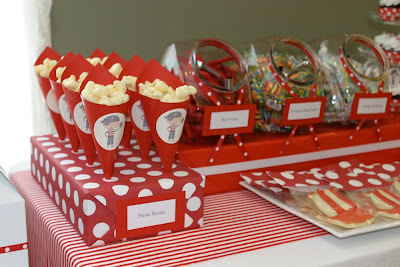 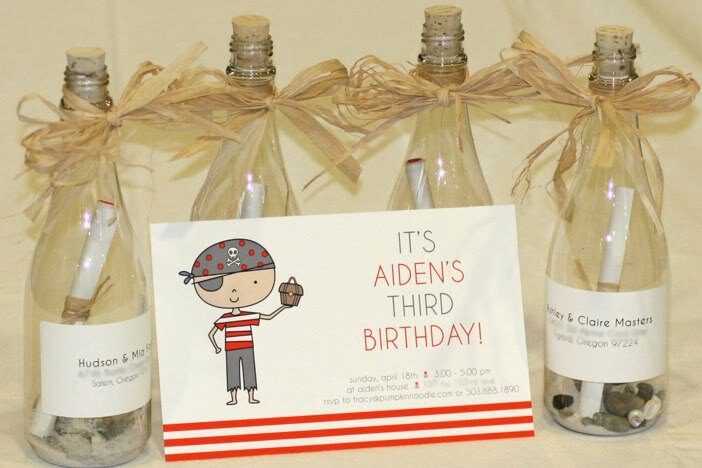 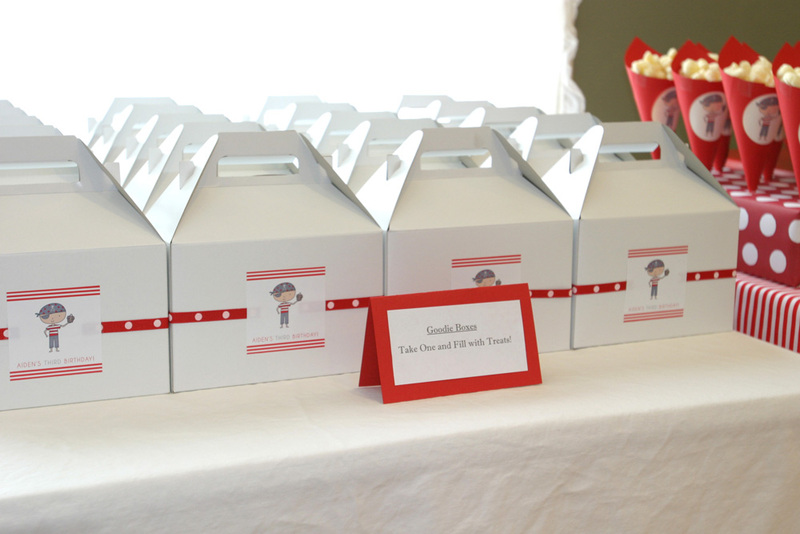 When I started to plan my son Aiden's Pirate themed 3rd birthday party, I immediately thought of Munchkin Designs and their darlin party favors. 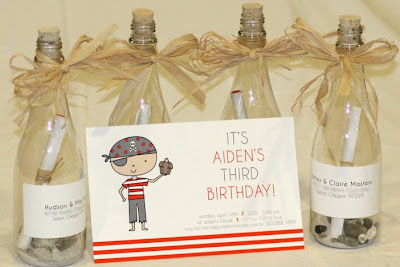 After giving Lisa from Munchkin Designs my idea's she came up with the perfect invitation that was exactly what I was looking for! 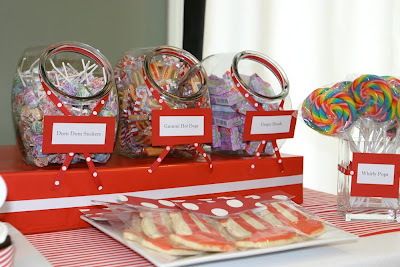 After discussing it with the birthday boy, we decided to do a candy buffet table at the party. 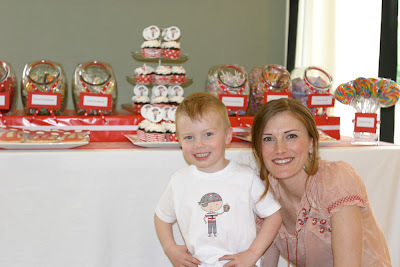 Aiden and I had so much fun putting this together. Glass candy jars from Target. Treat boxes and paper from Paper Zone. 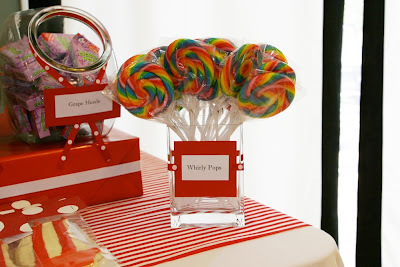 Whirly Pops from Oriental Trading Co. The kids had a wonderful time on the treasure hunt and the musical squares but the candy buffet table was definitely the hit of the party!